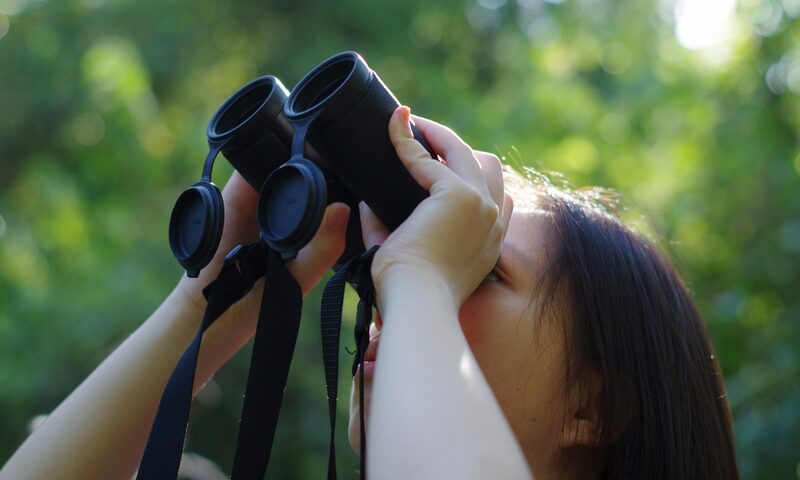 Category: -Pre- Travel: Learn With Us! 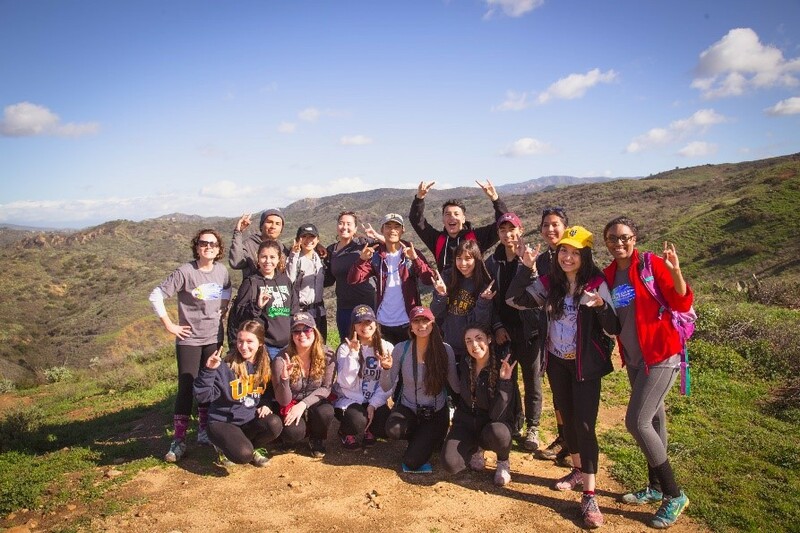 On Saturday, the Costa Rica Program set out for their retreat at the Irvine Ranch Outdoor Education Center. Despite heavy rainfall, our team proved to be as resilient as ever- a trait that will sure come in handy while in Costa Rica. Upon arriving at the lodge, the first thing on the agenda was to say goodbye to our cellphones and instead invite the opportunity to unplug for the entirety of the weekend- a type of media detox, if you will. After some vegan, homemade breakfast, we set out for our first adventure…. 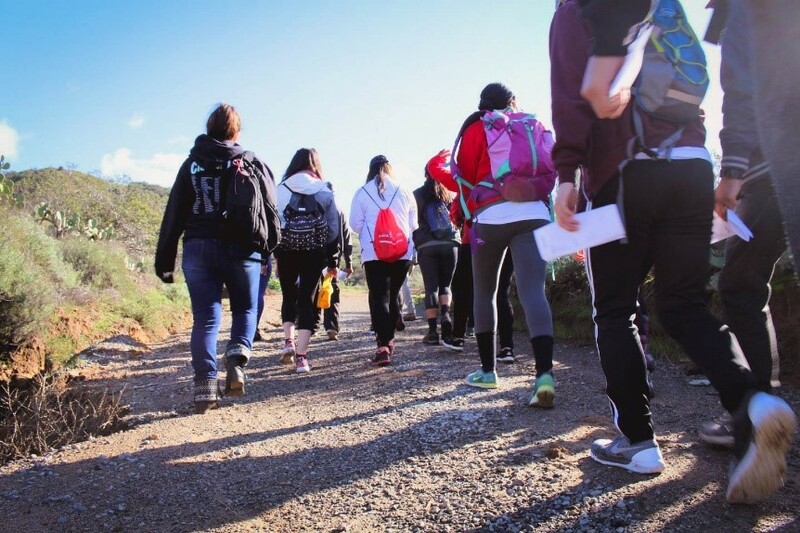 Not long after some well-received icebreakers and introductions, Suzanne Perry Slavens the Life Science Director of the Irvine Ranch Outdoor Education Center came to our lodge to invite us on a nature hike through the park. By this time, the sky had cleared up and the sun was shining brightly. We began to hike up muddy hills and the smell of fresh wet grass filled up our heavy-breathing lungs. Every once in a while, Suzanne would make the group pause and then proceeded to enchanted us with knowledge of the land we were hiking in. For instance, the team learned that the California Sage Bush was known as “Cowboy Cologne” because cowboys used to rub it all over to smell better due to its strong pleasant smell. It turned out that the same leaves were great to infuse our water with to give it an extra burst of flavor. The highlight of our hike was the vista waiting for us at the top of the peak. It showcased the snow-filled San Bernardino Mountains on one side and the City of Irvine on the other. It was absolutely breathtaking. 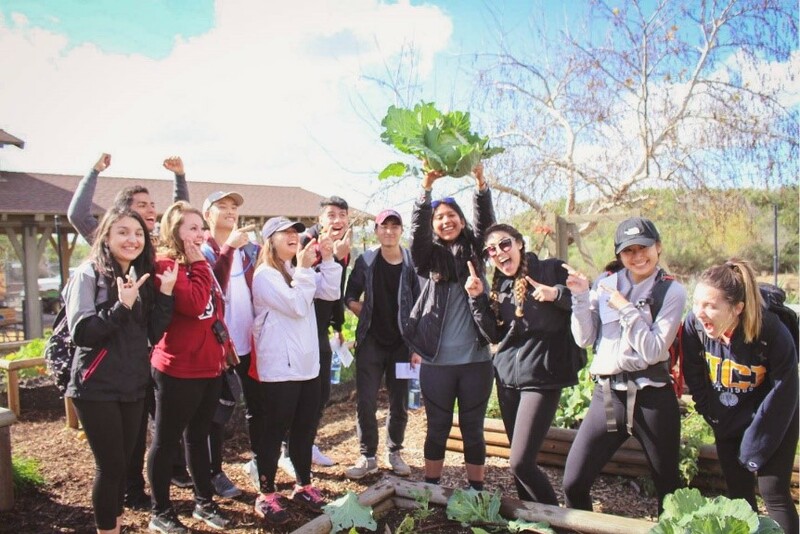 After a guided hike through the park by Suzanne Perry Slavens, the Life Science Director of the Irvine Ranch Outdoor Education Center, we were able to take a tour of the park’s garden. It included a hydroponics system, an orange grove and a compost site. As a group we learned all about permaculture, what the process of creating compost is like, and we even got to pull out a very huge piece of cabbage for lunch afterwards. We then volunteered our time to partake in some service work for the farm. The team split up into an orange grove maintenance team, and two compost groups. This required for all of us to grab a shovel or hoe and get some dirt on our hands. It did not take long for the smell of something…citrusy to fill the air. The strong, pungent smell of the orange compost pile lingered even for those working a good distance away from the compost pile. We greeted the experience with a hand over our noses but more than anything, a lot of laughter and some funny faces. Best of all, working together outside brought forth some personal storytelling, igniting conversation about where we grew up, what our hobbies included, our families and adventure stories, and where we’d hope to be in the future. After all the teamwork, we headed in to the lodge for some lunch. As the day unfolded into the evening, participants were steered into thinking more clearly about sustainability and their leadership capabilities through the direction of all the Costa Rica Program staff. Starting with preparations from the program’s Student Academic Coordinator, Nayana Bhaskar, who helped coordinate many of the details that made the retreat such a success. Rachel Harvey– the Costa Rica Program Director- led the group in a dynamic conversation about the state of the planet and issues concerning the three pillars of sustainability- the environment, the economy, and social equity. This transitioned into talking about where our strengths lied as a group and what we each brought to the table. 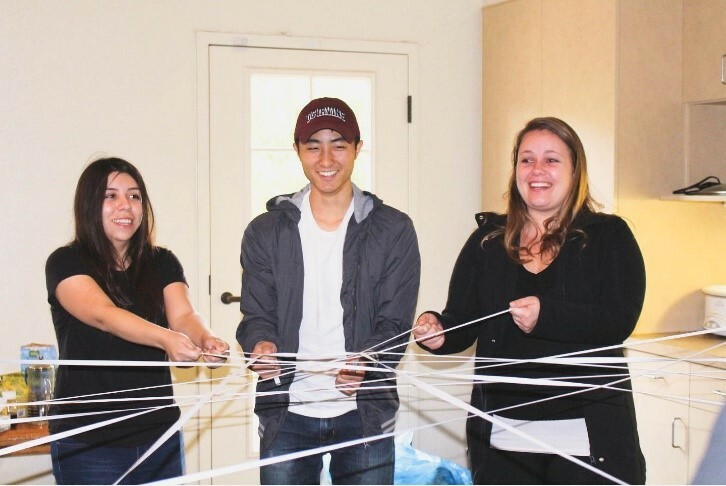 To provoke more thoughts on group work, Cecilia Mora– the program’s Media Outreach and Student Coordinator of Programs facilitated some teamwork games and challenged participants to find meaning in what the activities were highlighting in the group. As the retreat proceeded, we allowed ourselves to be vulnerable and it brought out a lot of great discussions. 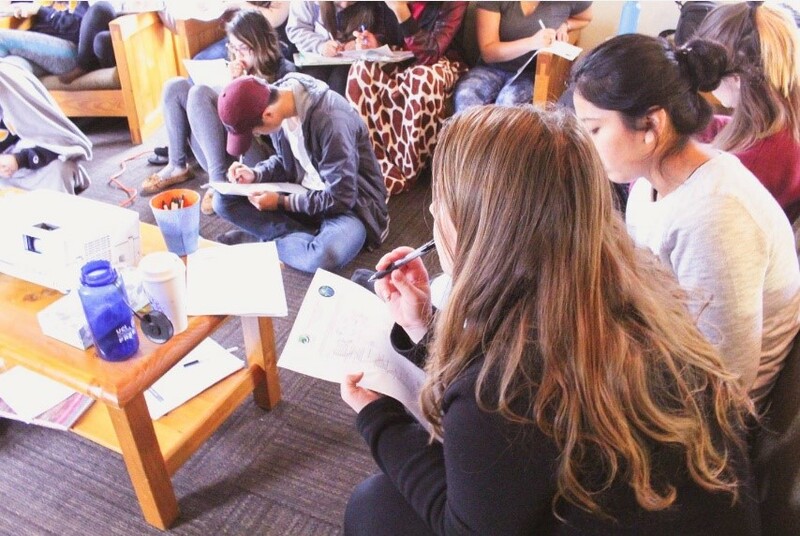 By the end of the retreat on Sunday, the group manifested a willingness to work on being more sustainable in their everyday living by creating a strategic plan. In that way, we’d be exuding a charism of being ‘doers’ rather than just ‘talkers’. 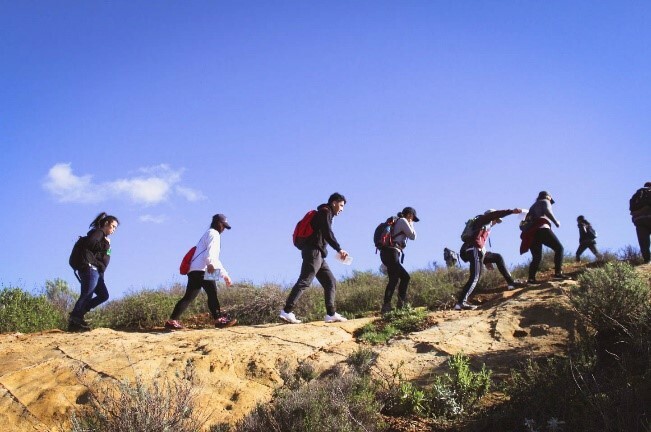 Personal bonds had formed between one another (enough that we made plans to see each other later that week) and overall, we gained stability as a team by getting to know where are strengths laid. Within just a short number of hours, I could feel the change in the team going from mere acquaintances to strong friendships. I am excited to see our group develop and to see where their future in sustainability and leadership takes them. The future looks mighty bright. Curious to see what is to come, as much as I am? Be sure to follow us on our Facebook Page and Instagram and never miss an update!